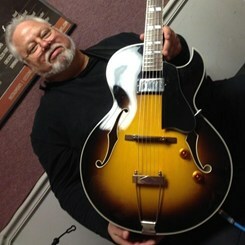 Bob Shann is a full time musician with over 20 years of experience. He earned a B.A. in Music Performance from State University of New York at Stony Brook. Some of his performance highlights include: performing at Blues Alley and for President Clinton. He continues to perform locally and in the New York area on a regular basis. He teaches guitar, ukulele, electric bass and upright bass. He has been with Music and Arts for over 4 years and really enjoys teaching and sharing performance insight as well as encouraging students to learn. Please ask to set up a free trial lesson to help you see the possibilities.